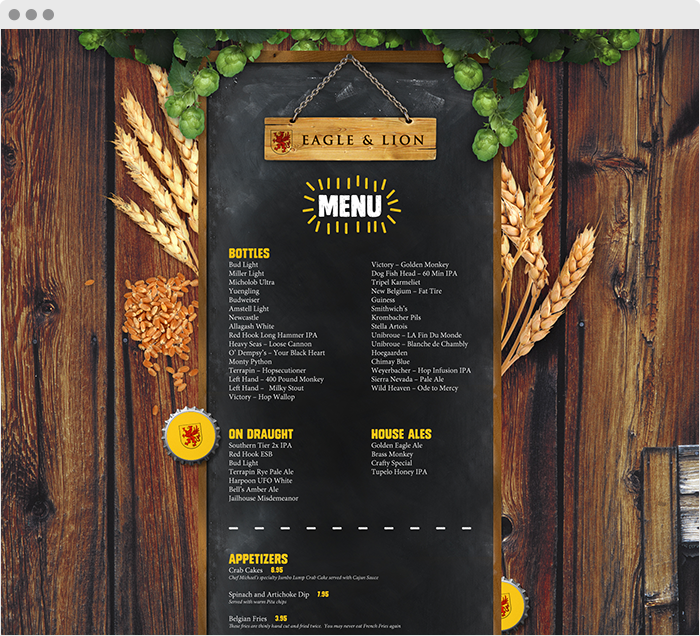 Eagle & Lion is a brewery for cask-conditioned ale and a pub serving great food in Griffin, Georgia. They have brought over the brewery from the Birmingham (UK) Brewery and 150 casks so that they can produce and serve beer the way it was meant to be. They renovated a space in the Old Cola building in Griffin into a beautiful pub. This is your new favorite place, your home away from home. 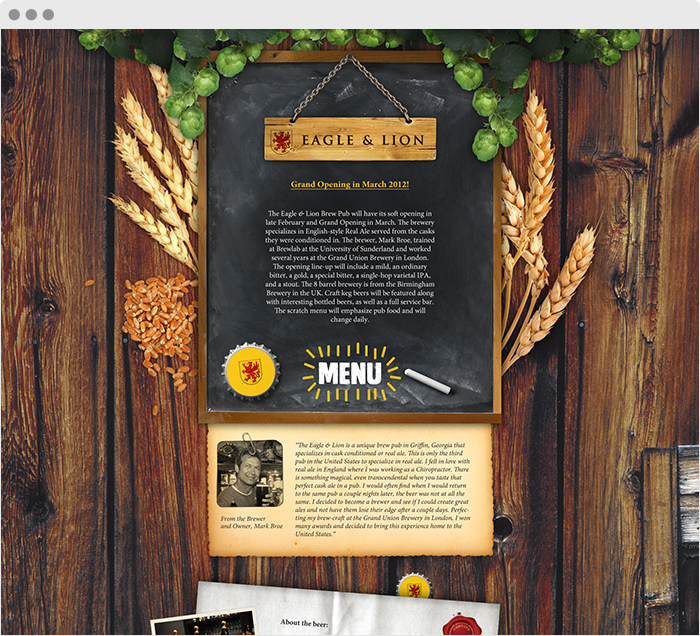 Stone Soup Tech has designed and developed their website.